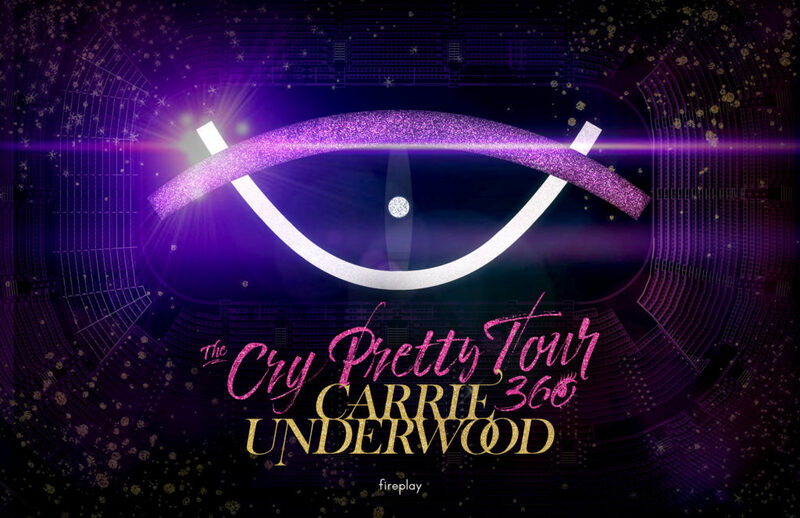 Carrie was recognized by Pollstar as the top female country touring artist for each of her headlining tours in 2008, 2010, 2012 and for 2016’s “The Storyteller Tour – Stories in the Round.” Her earlier “Blown Away Tour” played 112 shows in 110 cities across three continents and six countries, including sold-out shows at London’s prestigious Royal Albert Hall, and two nights at the Sydney Opera House in Sydney, Australia. 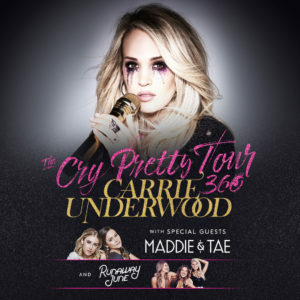 She topped Billboard’s Top 25 Tours of 2016 as the leading female country artist and was the leading female artist on Country Aircheck’s top country radio performers list for her success in both 2015 and 2016. Her five studio albums, Some Hearts, Carnival Ride, Play On, Blown Away and Storyteller – are certified Platinum or multi-Platinum, each winning an American Music Award as Favorite Country Album and tallying an incredible 40 weeks at #1 on Billboard’s Top Country Albums chart. Carrie is the first female artist to be twice named the Academy of Country Music’s Entertainer of the Year. In addition to seven GRAMMY® awards, she has won six CMA Awards, 17 CMT Music Awards, 12 American Music Awards and numerous other awards and honors. She recently took home her 14th career ACM Award for Vocal Event of the Year for “The Fighter,” her collaboration with Keith Urban.